Q. 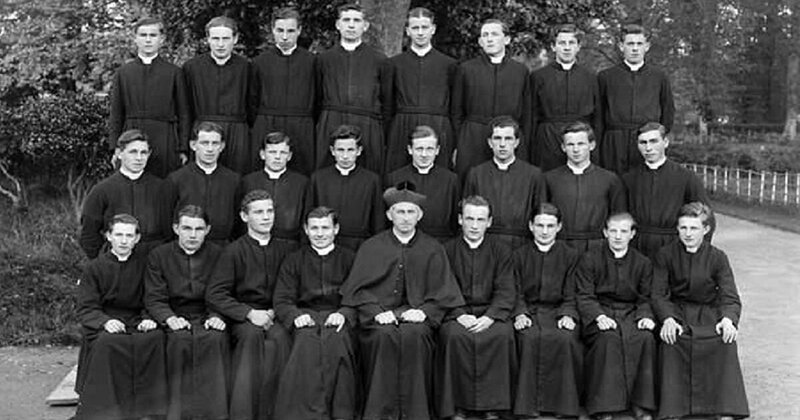 Why Priests Wear Black — My Catholic Life! Q. Why do priests wear black all the time? A. Great question! To be clear, a priest does not wear black all the time, and what he wears actually depends on what he is doing. When he is not offering the sacrifice of the Mass, he wears a black cassock (a long garment that goes down to the ankles) with a white collar, or, if the national bishop’s conference allows it, the priest wears a black suit with a white collar in public. Why black? Black is a sign of mourning and penance. Priests are to be reminders to the laity that there is more to life than what this world offers. Wearing black should remind both the priest and those who see him that we should not set our sights on the fashion of this world but should remember that we are called to do penance, not just for our sins but for the sins of the world. On a practical level, the display of black clerics also allows a person to identify a priest in case that person needs the sacraments like confession or anointing of the sick. Most wonderfully is that priests love when a person approaches them on the street to ask to go to confession. On a different practical level, a priest would not wear his black cassock or black suit while exercising, doing yardwork, or sleeping. Also, a diocesan priest in tropical climates would not wear black but white, not only for practical reasons—to decrease heat from the sun—but because white like black is a sign of mourning.